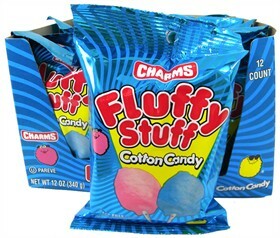 Ferrara Pan Merges with Farley’s & Sathers Creating a Colossal Candy Company! To say that either Ferrara Pan or Farley’s & Sathers were small before this monumental merger would be silly, but together they do create quite a candy force in the world of non-chocolates. We’ve been keeping up with the latest news on the merger for weeks, and in a June 21, 2012 article from the ChicagoTribune.com read that this candy combo is “believed to be the largest non-chocolate candy company in the United States.” Salvatore Ferrara II will be chairman and CEO of what will now be known as Ferrara Candy Co. Inc., and we’re confident this Candy King is more than ready to take the throne! If you aren’t familiar with what each company brings to the candy shelf, we’ll highlight some sugary sweet classics. Bear in mind that Farley’s & Sather’s scooped up Brach’s Confections 5 years ago and you have a pretty good idea of how much candy is in this combined bowl! Lemonheads: Packed with real lemon juice and enough fresh, fruity flavor to keep them in the starting lineup for decades, there’s no denying that Lemonheads are a fan-fave! The crowd goes wild for these yellow tart treats, and that lemon wearing a bowtie is about as cute as candy mascots come. 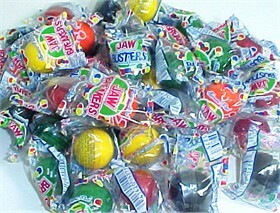 Jaw Breakers: They might be small in stature, but these candies prove that petite can pack a punch! Whatever color you start with, you’re in for a long-lasting walk down Sweet Street. You can throw these in at the start of the game and they’ll still be going strong well into overtime! 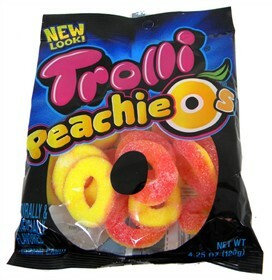 Trolli Candy: Whether you can’t put Peachie-O’s down until the bag is empty, or it’s those Gummy Strawberry Creams that leave your taste buds begging for more, when your mouth wants to go all in with gummies, Trolli is ready to deliver! Chuckles: These jelly candies may love to have a good time, but their commitment to serving up flavor is nothing to laugh about. Each bar brings lemon, lime, cherry, orange and licorice, offering something for everyone to enjoy. Talk about a team player! 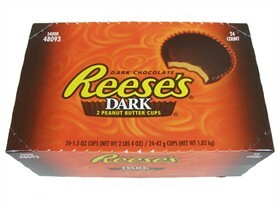 Do You Think Reese’s Peanut Butter Cups are Tasty Enough to Turn Thief For? We should start with a little disclaimer about our stance on stealing: unless there are a handful of extenuating circumstances at play, it’s wrong. That said, every now and then we come across a story about a thief that leaves us laughing. And that’s exactly what happened today. With a title like “Ohio candy thief targets mostly peanut butter cups,” you know you’re about to read the best thing you’ll read all day. Turns out there’s a candy thief in northern Ohio “who has stolen hundreds of dollars in peanut butter cups from a gas station store.” Hundreds of dollars! I know that gas stations don’t typically have the same low prices as Blair Candy, but regardless, hundreds of dollars will get you more than your fair share of cups. As for trying to physically stop the thief, which we wouldn’t recommend anyway – it’s been unsuccessful. A clerk tried to capture this candy criminal but was “spun around” as he got away. I’m sure it wasn’t funny for the clerk involved, but come on, people! There’s a man out there stealing peanut butter cups on the regular, and if you get in his way he will spin you around and speed out the door. And it’s not a cartoon. If this wasn’t a crime, and likely at least somewhat scary in person, I’d say it’s some of the best advertising Reese’s could get! Follow that Truck to the N.J. State Fair! We have all fallen prey to the scent of a steakhouse or hot dog stand at least once in our lives. One second you don’t even realize you’re hungry, and the next you’re desperately searching for a parking space as your tummy rumbles with temptation. The power of smell is not to be underestimated; just think of how many times you have been transported to a particular place with just a whiff, how quickly the smell of your grandmother’s perfume can fill your mind with mountains of wonderful memories. To be sure, smell plays a monumental role in our lives, and can influence both the decisions we make and the way we feel. Traditionally, most of us have been made aware of attractions through something we saw, be it a billboard, a television commercial or an advertisement on the side of a taxicab or bus. These are all effective ways to catch our attention and let us know of places or events we might enjoy visiting, be it a new restaurant, concert, performance or amusement park. To be sure, these methods of advertising work, along with word-of-mouth and other means. But something many of us might not have experienced is intentional scent marketing – emphasis on ‘intentional.’ Did that steakhouse engage in scent marketing when the aroma of a flavorful filet mignon brought us near? Yes – I think it’s safe to say it did. But that scent marketing was a natural byproduct of what was cooking inside, not a scent for scent’s sake. What the State Fair Meadowlands in New Jersey will be doing is something else entirely! An article on DetroitNews.com caught my eye this morning as I was reading up on the latest candy news – Trucks emitting cotton candy scent promote N.J. state fair. Did my eyes deceive me, or was I really reading that there are magical trucks that smell of cotton candy? The only truck I’ve ever been trapped behind on the road reeked of exhaust – cotton candy would certainly be a welcome change! Reading on I discovered one of the coolest means of marketing I’ve ever had the pleasure of coming across – truly intentional scent marketing. According to the article, “fair operators will be spending $15,000 for two trucks to circulate in New Jersey and New York between now and the final weekend of the fair.” These trucks will be carrying mobile billboards that use a fabric drenched in the sweet smell of cotton candy and rely on the wind to carry the fair-favorite fragrance to passing drivers and passengers. The goal is to make them aware of the fair through sight and smell, which will ideally result in them making a stop at the fair part of their plans. I know a good idea when I smell one, and I think this smells like success! What are your thoughts about scent marketing? Should Blair Candy jump on the scent wagon? Fun and Flavorful Candy Cocktail Ideas for Adults! While enjoying dinner and drinks with friends a few weeks ago, I was met with a fun-tastic surprise while browsing the cocktail menu. As if they were designed from my own mind, the restaurant had incorporated candy into many of its martinis! Once my excitement subsided, I was dumbstruck by the fact that I had never thought to do this on my own. Not that I think I’m a genius, but I’ve been surrounded by candy since birth – somewhere along the way it should have come to me! I wasn’t driving that night so I was able to satisfy my sweet tooth with a sampling of sweet ‘tinis. My first choice a Pop Rocks martini, featuring a glass rimmed with, you guessed it, Pop Rocks! Seriously people, how did this never occur to me? My next tasty temptation was a bubble gum vodka martini with a Charms Blow Pop dunked inside and poking out the top of the glass. Whatever bubble gum-loving guru was behind that creation was one smart cookie! I may have even had two. 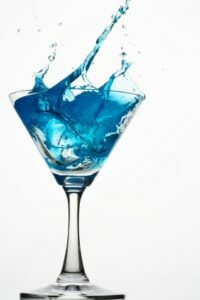 Reminiscing now on those marvelous martinis, I did a little search to see what other ideas might be floating around out there. And I quickly discovered I need to have a get-together with my favorite ladies and fellas as soon as possible! Candy cocktails would be delicious any time of year, but they’re simply perfect for summer. And one of my favorite ideas doesn’t even involve putting candy in the glass, but around it! In this mouthwatering post on the A Beautiful Mess Blog – A Candy Cocktail Party – I was literally left gasping over the Orange Soda Cocktail. Garnishing the stem of a martini glass with Ring Pops? Brilliant! It also solves the question of whose drink is whose – just remember your Ring Pop color and you can keep swapping gossip and having good times without sharing germs.